For private security contractors in Orlando, Millennium Protection Services is the only logical choice. We are among the best at what we do for a number of different compelling reasons. First and foremost, we have been establishing our reputation for excellence for over 25 years. When you have been able to obtain this level of longevity, you must be satisfying your clients. We are very gratified by the feedback we receive, and we continually grow through repeat business and referrals. Unlike many Orlando private security firms, we offer many different types of security solutions, including unarmed security guards. 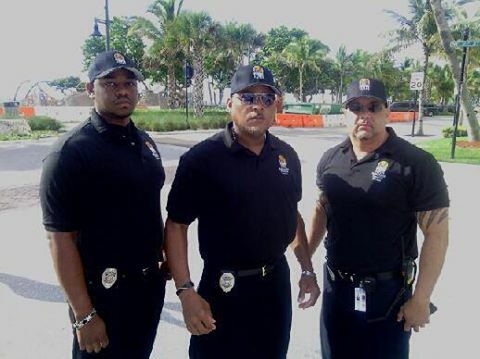 If you need qualified unarmed security guards for any type of business or special event, we can satisfy your needs and exceed your expectations. Though our unarmed security services are of the highest quality, we go the extra mile to keep our rates as low as we possibly can. In some highly sensitive environments, armed security guards are necessary to deter potential criminals and respond with full force if necessary. This is another area of expertise for our company. We recruit some of the finest former military personnel and law enforcement officers in the state of Florida. When we dispatch security guards, the people that arrive are highly trained, skilled professionals that know how to respond to any possible scenario. We excel among Orlando private security companies when it comes to our armed and unarmed security guards that protect facilities and events. At the same time, we also provide executive protection for high profile business people. Plus, if you are a recognizable athlete or celebrity, we can assign an effective bodyguard that will make sure that you stay safe and sound at all times. Contact Millennium Protection Services Today! In addition to our bodyguards and armed and unarmed security guards, we offer a number of other highly specialized services, including rover patrols, risk analyses, and loss prevention solutions. The people that represent us in the field are the best in the business, but we also place an emphasis on world class service from the first moment that you reach out to us. If you are ready to connect with the cream of the crop of Orlando private security firms, click this link to send us a message or give us a call at 954-668-2780 or 800-493-0806.